Highlighting the molecule-environment interactions that strongly influence spectra in condensed phases, Condensed-Phase Molecular Spectroscopy and Photophysics provides a comprehensive treatment of radiation-matter interactions for molecules in condensed phases as well as metallic and semiconductor nanostructures. Each chapter in this graduate-level molecular spectroscopy text contains problems ranging from simple through to complex. Topics unique to this text include the spectroscopy and photophysics of molecular aggregates and molecular solids, metals and semiconductors, and an emphasis on nanoscale size regimes. ANNE MYERS KELLEY earned a BS in chemistry from the University of California, Riverside, in 1980 and a PhD in biophysical chemistry from the University of California, Berkeley, in 1984. Following postdoctoral work at the University of Pennsylvania, she held faculty positions at the University of Rochester (1987-1999) and Kansas State University (1999-2003) before becoming one of the founding faculty at the University of California, Merced, in 2003. Her primary research area has been resonance Raman spectroscopy, linear and nonlinear, but she has also worked in several other areas of spectroscopy including single-molecule and line-narrowed fluorescence, four-wave mixing, and time-resolved methods. She is a Fellow of the American Physical Society and the American Association for the Advancement of Science. An introduction to one of the fundamental tools in chemical research--spectroscopy and photophysics in condensed-phase and extended systems A great deal of modern research in chemistry and materials science involves the interaction of radiation with condensed-phase systems such as molecules in liquids and solids as well as molecules in more complex media, molecular aggregates, metals, semiconductors, and composites. 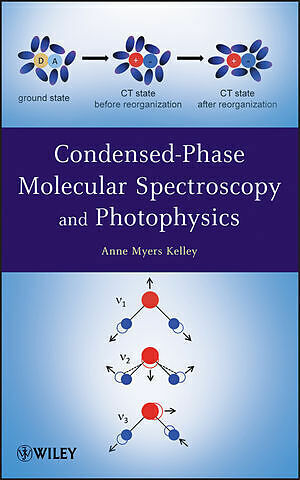 Condensed-Phase Molecular Spectroscopy and Photophysics was developed to fill the need for a textbook that introduces the basics of traditional molecular spectroscopy with a strong emphasis on condensed-phase systems.  It also examines optical processes in extended systems such as metals, semiconductors, and conducting polymers, and addresses the unique optical properties of nanoscale systems. Condensed-Phase Molecular Spectroscopy and Photophysics begins with an introduction to quantum mechanics that sets a solid foundation for understanding the text's subsequent topics, including: * Electromagnetic radiation and radiation-matter interactions * Molecular vibrations and infrared spectroscopy * Electronic spectroscopy * Photophysical processes and light scattering * Nonlinear and pump-probe spectroscopies * Electron transfer processes Each chapter contains problems ranging from simple to complex, enabling readers to gradually build their skills and problem-solving abilities. Written for upper-level undergraduate and graduate courses in physical and materials chemistry, this text is uniquely designed to equip readers to solve a broad array of current problems and challenges in chemistry.